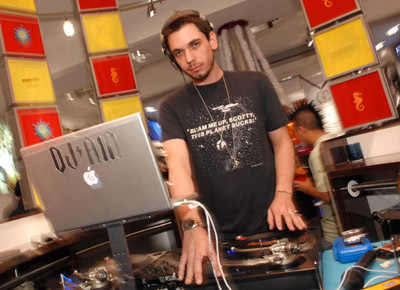 Adam "DJ AM" Goldstein, 36, was found dead at his apartment in New York City. Police say that drug paraphernalia was found at the scene, including a crack pipe. Initial suspicions are that he may have died due to a drug overdose, though toxicology and coroner reports will confirm his cause of death soon. Adam, along with drummer Travis Barker, survived a plane crash last year that left both critically injured. They were the only survivors. Rest In Peace, sir.